Student Spotlight: Deriana – Teach. Empower. Transform. When I told Deriana that the interview wouldn’t take long, she responded, “I hope it does!” and proceeded to climb up into the large office chair next to mine, eager to share her views on math, FLOC, and life in general. The nine-year-old student swung her chair back and forth with her feet as she answered my questions, beaming the entire time. Deriana first came to For Love of Children last fall. 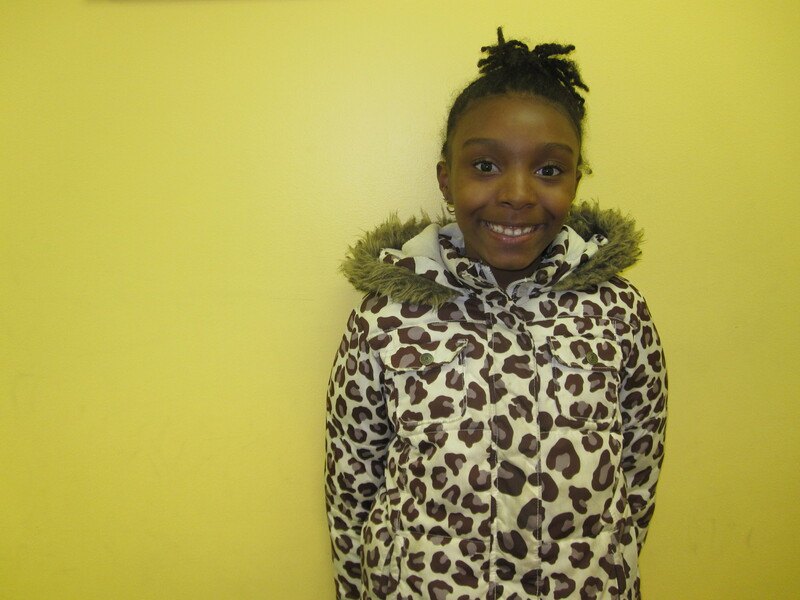 She was enrolled in FLOC’s Neighborhood Tutoring Program because she was struggling with math in school. “I really didn’t like math,” she confessed, “but they made it fun and more educational for me. Now I understand it better.” By “they,” Deriana was referring to her tutors at FLOC over the course of last school year, the summer and this school year. She described how she has come to learn math concepts in fun ways that include drawing pictures, playing games, acting things out, and her personal favorite: “trashketball.” In addition, she talked quite a bit about Fred Taylor dollars and stars, incentives that are fun additions to the FLOC tutoring experience. “Every time you come to FLOC you get a certain number of stars,” she explained. “You get zero stars if you aren’t listening, one star if you’re not cooperating, two stars if you’re trying but you get a little distracted, and three stars if you are very respectful and you do a great job.” She paused for a second and then grinned as she admitted that she usually gets two stars on account of her being easily distracted. Perhaps the interview did not go as long as Deriana would have liked, but she seemed happy as we wrapped up and I took her picture. Her funny jokes, great smile, and contagious energy remind me of why FLOC exists, and we’re just as happy to have her here as she is to be here. (Rachel Baxter is the Bilingual Recruitment and Outreach Assistant at FLOC).